Orlando, FL – (July 16, 2016) – (INTUITION Brand Marketing) – Busch Systems International, providers of one of the world’s largest lines of compost, waste and recycling bins, will make their debut as an exhibitor at this year’s Canadian Resort Conference that will be held at the Hilton Niagara Falls in Niagara Falls, Canada on September 13th – 14th. Founded in 1985 by Craig Busch, the company offers one of the largest lines of customizable waste and recycling bins in the industry. The company’s philosophy of “People, Planet, Product” is highlighted throughout its line of 100% recyclable containers and the personal approach to customer service that is shown to every client. Clients are given the ability to customize and build their own custom recycling bins through their “Build-a-Bin” system. Through that process they are able to select everything from the size and shape of their containers to more aesthetic features such as colors, labels, logo design and openings. Additionally, clients can participate in a rewards program that offers them discounts and benefits in exchange for participating in the company’s study on the efficiency and implementation of recycling programs. Produced by Perspective Group, the leading independent media and brand marketing company globally for the vacation ownership industry, on behalf of the Canadian Resort Development Association (CRDA), the Canadian Resort Conference brings together senior-level executives from the resort and travel industry, and provides them with networking opportunities and collaborative panel sessions geared towards building partnerships and expanding their business into the Canadian resort marketplace. “We don’t just offer containers, we offer solutions,” John Greenway, Sustainability Specialist at Busch Systems emphasizes. 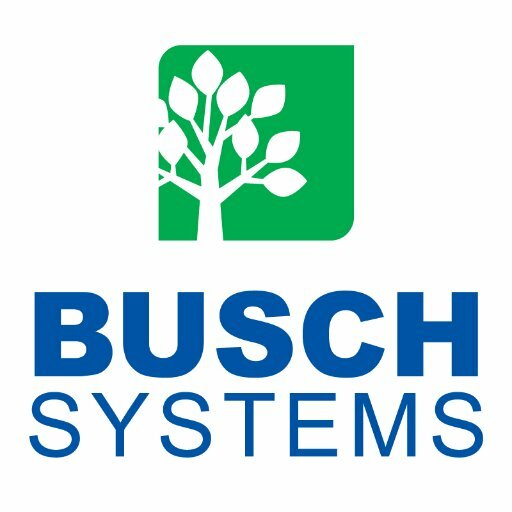 As a first time exhibitor at CRC, Busch System’s staff will be on hand to show potential business partners their fully customizable catalog of products and their environmentally inclined process of manufacturing and product design that have led to the company’s success and growth for over 30 years. Attendees will have the opportunity to engage senior members of the company on their commitment to maintaining a sustainable, environmentally friendly manufacturing process and the excellent customer service offered to clients. “We are delighted to welcome Busch Systems International as a new exhibitor, and look forward to seeing what value they can bring to attending companies”, Says Paul Mattimoe, president, Perspective Group. As an industry-based association, CRDA’s mission is to expand vacation ownership throughout the world and promote a high standard of professionalism and ethical conduct within the industry. The CRC brings association members and non-members an opportunity to better understand vacation ownership and the resort marketplace, as well as promoting the creation of new business partnerships and ideas. CRC provides a collaborative session format with expert speakers and incredible networking opportunities. CRC 2016 will open with the popular Speed Networking session and cocktail reception and will be followed by a full day of general sessions. Founded in 1985 by Craig Busch, Busch Systems offers one of the largest lines of fully customizable compost, waste disposable and recycling bins in the industry. With a philosophy of “People, Planet, Product”, the company prides itself on providing excellent customer service on all their products while ensuring that every bin they manufacture, all of which are made exclusively in North America, is 100% recyclable. For more than 30 years CRDA has been dedicated to furthering the ownership-based vacation and resort development industry, both in Canada and abroad, while enhancing the many benefits it provides its members. For more information about CRDA and to inquire on how to become a member, please visit www.crda.com, or call 604.538.7001.